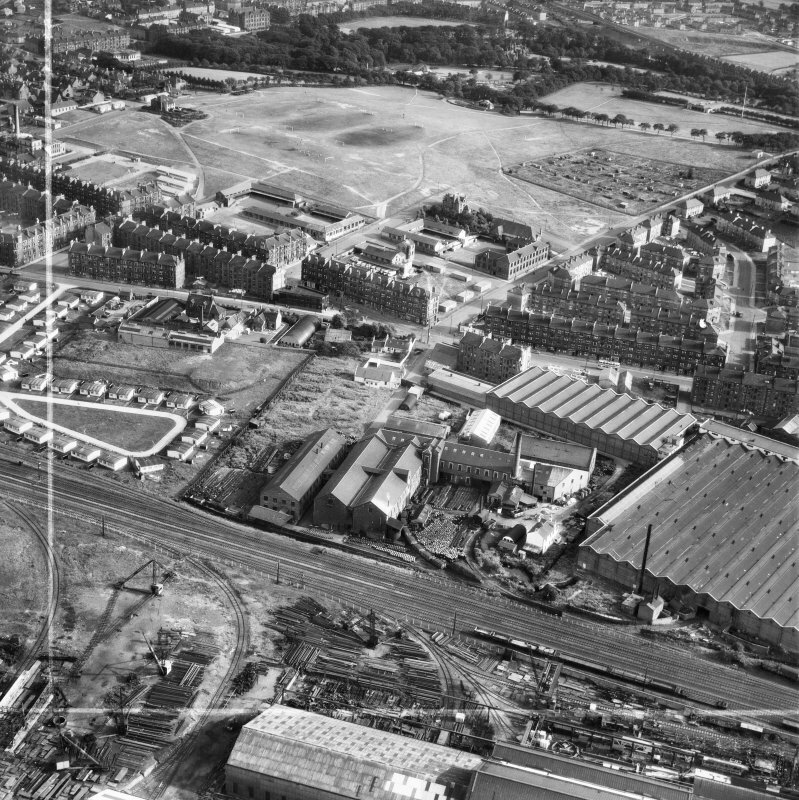 British Dyewood Co. Ltd. Carntyne Dyewood Mills, Shettleston Road and Tollcross Park, Glasgow. Oblique aerial photograph taken facing south. This image has been produced from a crop marked negative. Description British Dyewood Co. Ltd. Carntyne Dyewood Mills, Shettleston Road and Tollcross Park, Glasgow. Oblique aerial photograph taken facing south. This image has been produced from a crop marked negative.